On 10 July 2011, a bright Sunday noon, a beauty talk on ‘BEAUTY & CONFIDENCE BEGINS WITH ‘SKIN CARE’’ was carried out in The United Lee’s Association building. 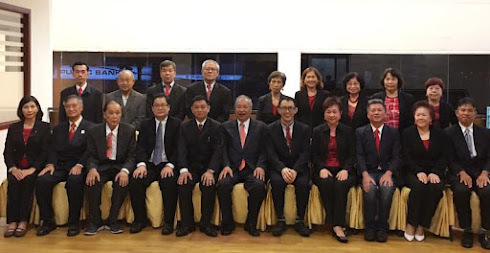 This event was jointed organized by three parties which are Women Section, The United Lee’s Association (Kuala Lumpur), Women Section, Nam Hoi Association (Kuala Lumpur) and Cospharm Enterprise. Around 50 people attended and most of them are ladies. The talk started around 130pm with the registration and skin analysis session. Each participant was given a free Royal White travel pack according to their skin types. About half an hour later, the MC ( Miss Ken Kwai Sim, the president for both women sections) invited Miss Cathy, the principal of Head To Toe Academy, on stage. Miss Cathy is the government certified External Beauty Verifier and has 19 years experiences in the beauty industry. She enlightened the audience on the various skin types, what is the characteristic of each skin types and how to select a skin care product that is safe and suitable. After that, Miss Tracy, the product specialist of Royal White Skin Care gave a talk about how to reduce hyperpigmentation (dark spot) and how to make skin fairer. She too gave a brief introduction on Royal White products. Royal White products are Japan formulated product that is specialized in brightening and reducing pigmentation. They contain not only whitening, but also hydrating, nourishing ( Vitamin C) and anti-aging ( Vitamin E). The last session was demonstrated by Miss Cathy on the correct method in using skin care products. Most people might not aware that the wrong method of using skin care products might cause skin sacking and wrinkles. The talk was ended around 430pm with some light refreshment for the participants. It was a meaningful talk as the public is more aware of what skin care products that are suitable for each skin types and how to overcome dark spot and improve skin tone.